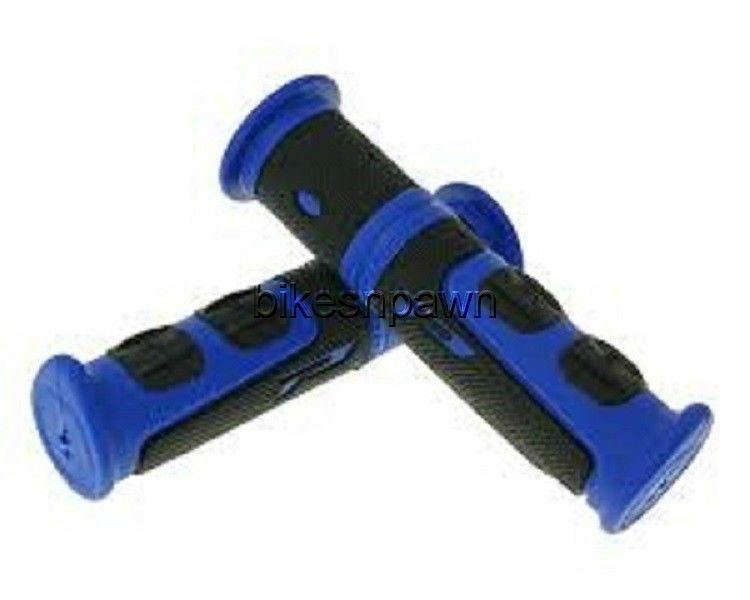 New Progrip 964 Black & Blue Handgrips ATV Jet Ski PWC BMX Grips 7/8"
New Progrip model 964 EVO Black and Blue ATV / Jet Ski / Watercraft / BMX grips. Fifth generation of bi-component competition handlebar grips. Ergonomic design to save your hands and provide maximum grip. Will fit most all ATV's, Jet Ski's, personal Watercraft, and bicycles with standard 7/8" handlebars and thumb throttle. (Note: If your ATV has a twist grip throttle like a motorcycle these will not fit).